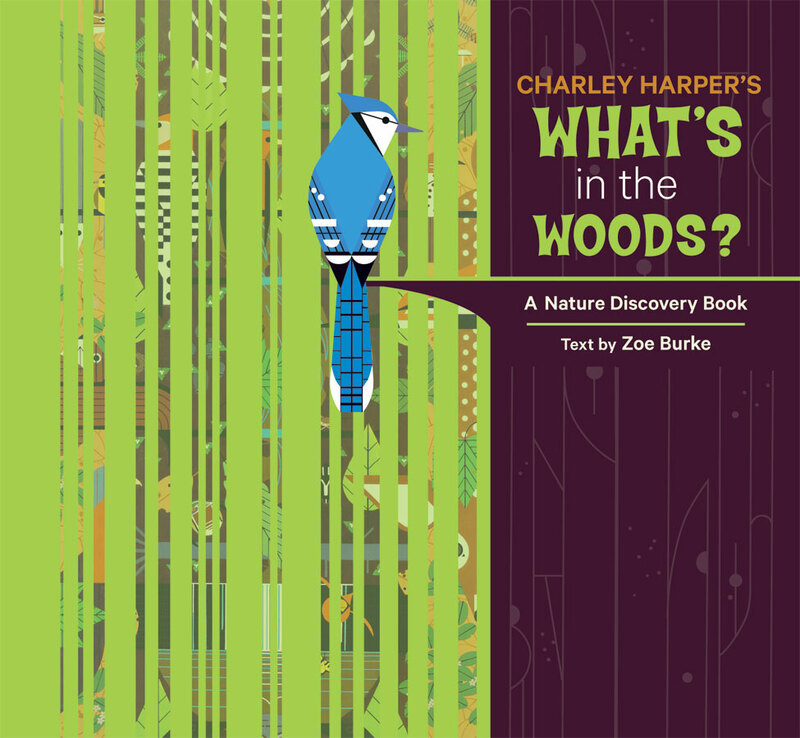 In artist Charley Harper’s Birducopia, a wealth of birds, animals, trees, and plants are ingeniously portrayed, creating a complete environment of a woodsy park. Each creature and plant is extracted from the larger painting and silhouetted on the pages of What’s in the Woods? The accompanying rhyming text by Zoe Burke imagines a walk through the park, identifying the flora and fauna along the way. The journey ends with a foldout page of the complete image, with a key identifying all the animals and plants. 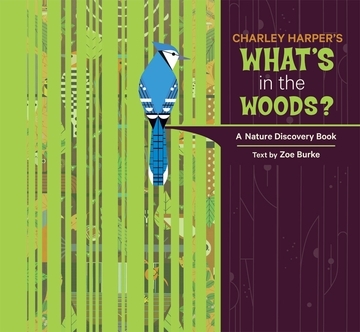 The first in Pomegranate’s series of Charley Harper Nature Discovery Books, What’s in the Woods? offers a unique opportunity to learn about nature and to examine how an artist interprets its details, beauty, and wonder.